#JRCD 9409 /rec. 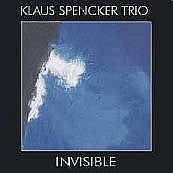 1993/94 / Time: 62'07"
"The music of the Klaus Spencker Trio is extremely natural and organic. The writing and playing are both on a high level, I recommend it."